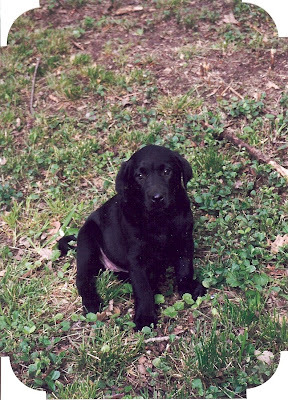 She was my first dog, or pet of any kind for that matter. My husband and I got her while still living in our first apartment. 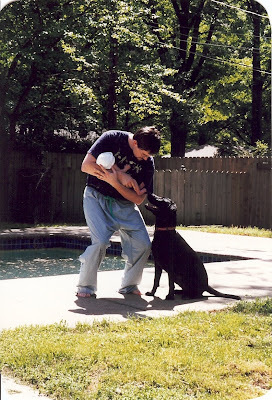 At the time, I was terrified of dogs, but he wanted a dog. After testing a whole litter using the Monks of New Skete's advice for selecting a dog, my husband chose her. He then dumped her in my lap for the hour drive home. I shook the whole way. By the time we got home, I was warming up to this cute little bundle on my lap. She has lived in every home we have shared, she was there for me many nights when he was working all night, she was there to greet each of our children when we brought them home from the hospital. My childrens' first word was dog. She was a great dog. She will be missed. I'm very sorry to hear about Ally. May the memories of her comfort you in your loss. Sorry to hear. I know how much a pet can mean to individuals and to families. Oh no! I'm so sad for you, and I know the kids are having a hard time. We'll pray for comfort for you and them. =( I'm sad for you. Good dogs are the best. I know ya'll will miss her! So sorry about Ally-how sad! Hope that the kids will always remember many happy times!